Investing in inspiration through lower energy costs. SunPower modeled various payment options including direct ownership as well as a PPA, and helped identify several state and federal initiatives that helped offset the cost of direct ownership. SunPower® solar panels have a proven track record of quality and durability to better withstand the foggy San Francisco weather and saltwater air better than conventional solar panels. 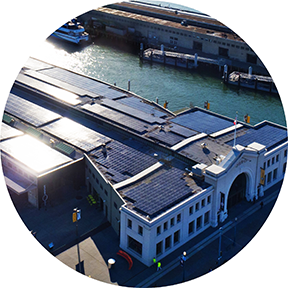 SunPower’s more efficient solar panels delivers more power in the Exploratorium’s limited roof space than conventional solar, and produces over 80% of the of the museum’s electricity needs. 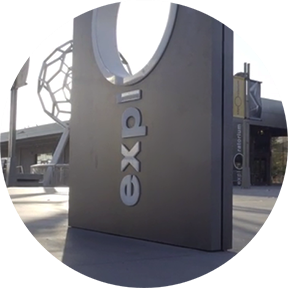 The San Francisco Exploratorium’s goal is to make a big impact on their visitor’s experience with the least environmental impact. Today, they are one of the greenest museums in the world with solar energy at the center of their sustainability efforts, in a city better known for dense fog than sunny days. The museum uses the money it saves from lower energy costs to invest in innovative educational experiences for their one-million visitors a year. 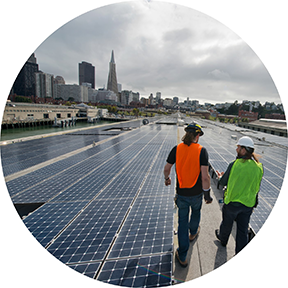 And, SunPower helped them tackle the unique challenges of installing solar on a historic building with limited roof space.